Like the impressive Tiguan, but need more room? You'll love the Tiguan Allspace. One of the best seven-seater SUVs around. Is this new Tiguan just a Biguan or does it have more to offer drivers and families than an additional row of seats? 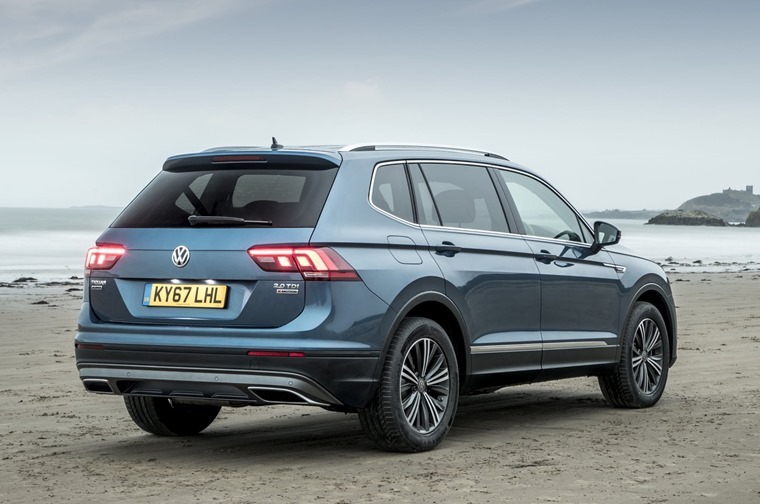 This seems to be the main question on everyone’s lips with the UK launch of the seven-seater Allspace, as the regular five-seat model Tiguan continues to go from strength to strength and stands as VW’s third best-selling model in the UK. 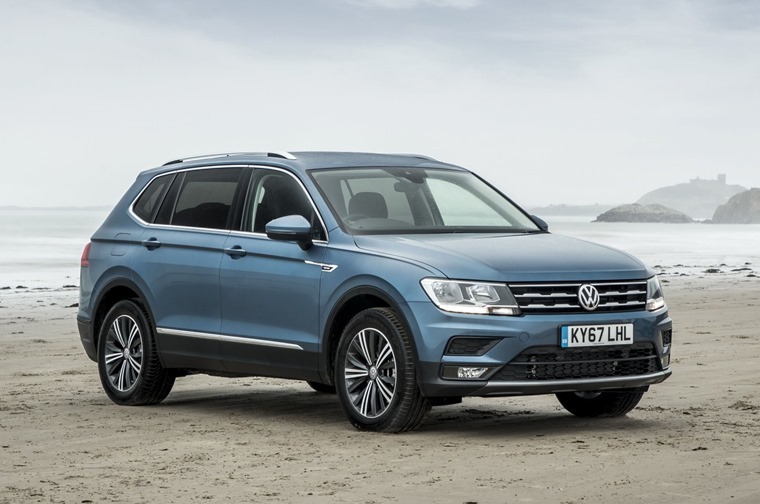 With the craving for SUVs not going anywhere soon, Volkswagen hopes the Allspace will attract 15% of all Tiguan sales in the UK, taking aim at those who like/want the Tiguan but just need a little more space than the, in my opinion, already pretty damn spacious regular model. But how do you differentiate it further to make others consider leasing it too? The revised looks are subtle enough that it identifiably remains a Tiguan albeit with some unique design tweaks. 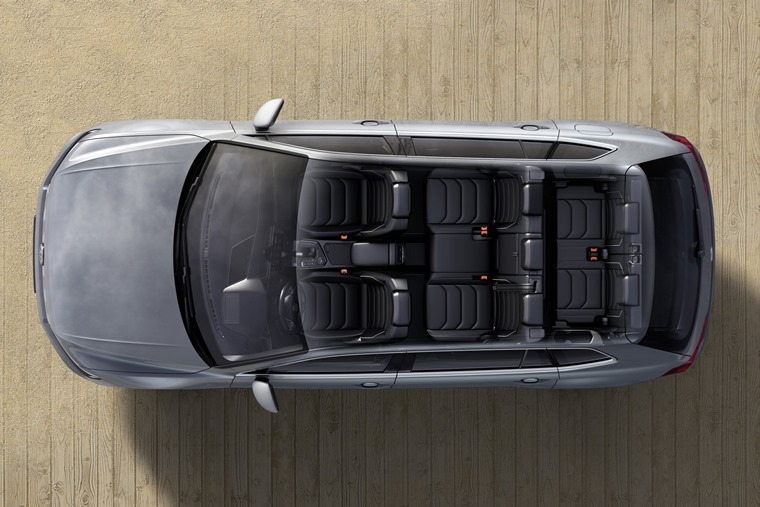 The wheelbase is 109mm longer and the rear doors are, of course, longer to accommodate those in the rear two seats. The front has been raised and the bonnet revised to give it more of an aggressive and symmetrical appearance, bringing to mind the US-only Atlas model. That colossal SUV being a seven-seater too isn’t exactly a coincidence. Despite all of the media rhetoric around diesel and upcoming VED changes to new diesel cars in April, Volkswagen still expects the majority of drivers to opt for diesel when choosing an Allspace. As a result the launch is dominated by a host of TDI options: a 2.0 TDI is offered in either 150 or 190 trim, and a range-topping 2.0 BiTDI comes with 240 PS. Two petrol options are also on offer, although expect the 1.4 and 2.0 TSI models to be a rather niche choice. With eyes on a particular segment, it’s no surprise to find that the Tiguan Allspace trim levels are all high spec, offering drivers SE, SEL and R-Line only. This means there’s plenty of chrome and an 8in touchscreen and cloth upholstery in SE guise, a 12.3in active info display and selectable profiles for 4Motion four-wheel drive for SEL trim, and 20in wheels and sport suspension in R-Line. It was the SEL 2.0 TDI 4Motion with 7-speed DSG we found ourselves in and this offered plenty of oomph to deal with the Allspace’s 1845kg size. When our route opened up onto clear A-roads, that 7-speed DSG dealt with the gear shift as flawlessly as you’d expect from VW and proved to be as comfortable to cruise in and as cushioned a ride as its smaller stablemate. Around country lanes and in town the Allspace still holds its own, offering a quiet and refined ride with excellent grip and accurate and well-controlled body roll. This allows you to keep a decent pace without feeling like the car is out of its element, in fact you might even forget it’s a chunky SUV you’re driving. On the inside, the spacious cabin reflects Volkswagen’s reputation for classy interiors. Getting comfortable is easy, thanks to electric seat and steering wheel adjustment, and the layout of the dashboard is user-friendly and easy to navigate with all the switches and controls laid out logically and minimally. As for your four or six passengers, thanks to the adaptability of the MQB platform on which the Allspace has been built, there’s plenty of space throughout. I took my time to sit in every seat on offer and the middle row gave enough leg and head space for me at 6ft, while admittedly the back row was a no-go but it’s not built for the likes of me to use unless you’re being sadistic. All in all, the car is easy to recommend based on lifestyle. If the Allspace is going to be loaded day-in-day-out with five or more passengers, plus backpacks and lunch boxes, it makes an enticing proposition. 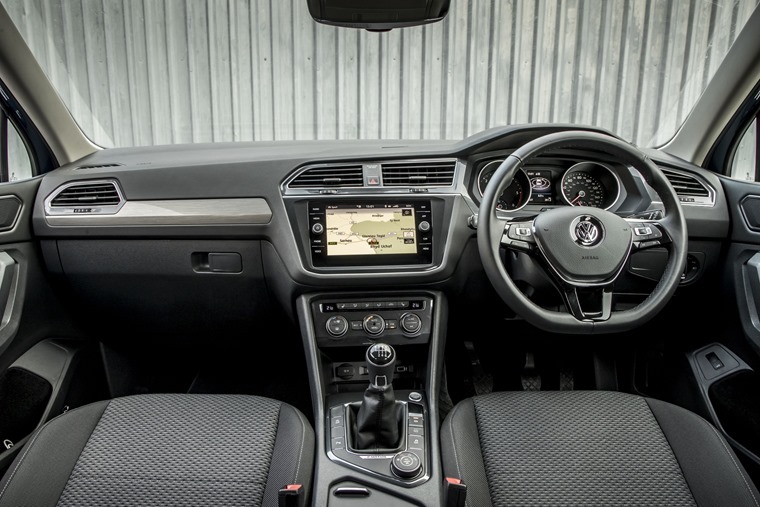 For everything else, there’s the standard Tiguan which you can view our thoughts on here. It’s the same width as the standard Tiguan (1839mm) but slightly higher (adding 20mm of height) while the length and wheelbase or longer as expected. It did feel roomier than the standard Tiguan. 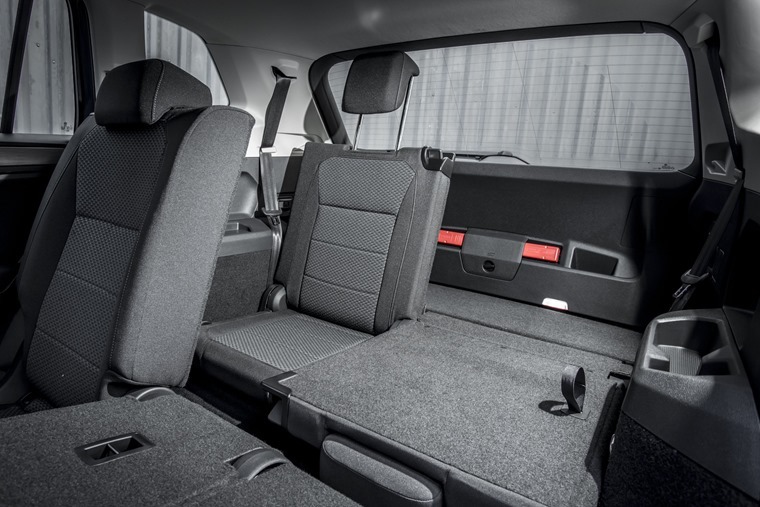 With the rear seats up you’re looking at 700 litres of space which is an adequate amount. With rear seats down that jumps to 1,775 litres. A connection with the infotainment system can be established using Apple CarPlay, but can also be linked using MirrorLink or Android Auto. The active info display only comes on SEL and R-Line trims. Volkswagen state that the combined mpg is 47.9, and during our time in the car the figures weren’t too far off this in the low 40s. Eeesh, we’re not cynical enough to say that. If we were being uber pedantic Kevin, it’s actually more akin to the MQB-platform-based Audi Q5 than the MLB-Evo platform Q7. As the review states, it’s a slightly bigger Tiguan for those people needing a slightly bigger Tiguan. If you were to compare it like-for-like, the nearest competitor would be the Skoda Kodiaq, which was one of our favourite drives last year. The good news is you can get a three year deal, the bad news is that currently the most mileage you can get on that length of contract is 10k per year.